Find out more about our Village hall here. If you find a fault with any streetlighting, highways or potholes in Woolhampton please report it here. Forms of nomination for Parish Elections may be obtained from Clerks to Parish Councils or West Berkshire Council, Council Offices, Market Street, Newbury, RG14 5LD from the Returning Officer who will, at the request of an elector for any electoral area, prepare a nomination paper for signature. Nomination papers must be delivered to the Returning Officer, West Berkshire Council, Council Offices, Market Street, Newbury, RG14 5LD on any day after the date of this notice, but no later than 4pm on Wednesday, 3rd April 2019. Applications to register to vote must reach the Electoral Registration Officer by 12 midnight on Friday 12 April 2019. 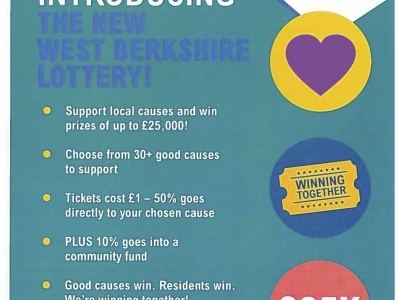 Berkshire Council, Council Offices, Market Street, Newbury, RG14 5LD by 5pm on Monday, 15th April 2019. 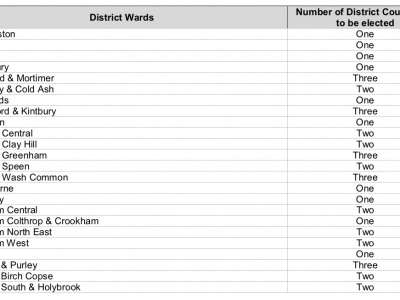 Applications to vote by proxy at this election must reach the Electoral Registration Officer at West Berkshire Council, Council Offices, Market Street, Newbury, RG14 5LD by 5pm on Wednesday, 24th April 2019. 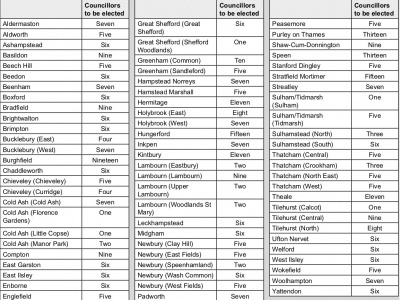 Applications to vote by proxy at this election applied for on grounds of physical incapacity, where that physical incapacity occurred after 5pm on Wednesday, 24th April 2019, must reach the Electoral Registration Officer at West Berkshire Council, Council Offices, Market Street, Newbury, RG14 5LD by 5pm on Thursday, 2nd May 2019.